The research group Marine microbiology carries out research on the biodiversity, ecology, physiology, genomics and genetics of marine bacteria. The research group is a part of Linnaeus University Centre for Ecology and Evolution in Micobial model Systems. Our research includes the study of species composition in bacterial communities and of the significance of bacteria in marine ecosystems. This includes research into the role of bacteria in the cycling of organic and inorganic nutrients, and in the energy fluxes in the sea. Particular attention is given to bacterial light energy harvesting through rhodopsin photoproteins. Bacteria make up most of the living biomass in our biosphere and their activities drive biogeochemical cycles of all elements essential to life. For example, about 25% of the carbon fixed by photosynthesis on Earth is channeled through bacteria in the marine water column. While the recent decade has brought insights into the identity and functional diversity of bacterioplankton species, the understanding of factors regulating bacterial activities, and thereby the resilience of bacterial ecosystem function towards environmental change, is still scarce. Hence, pertinent current questions include: how do specific bacteria carry out different biogeochemical processes, i.e. what molecular mechanisms are involved? - and how are these activities regulated? How does rhodopsin light energy harvesting influence the ecology of marine bacteria? Our research projects in marine microbiology and molecular biology are focused on complementary aspects of marine microbial ecology. The core of several of our research projects in microbial oceanography is our long term time-series station at the Linnaeus Microbial Observatory (LMO). We have carried out sampling here since 2011 (a total of 234 sampling times until March 2017), and during 2017 samples are collected at LMO every second week. 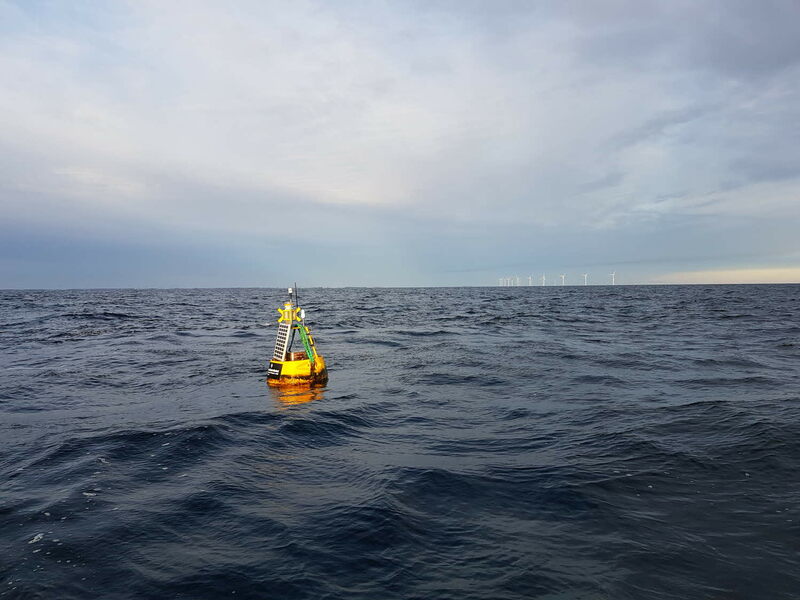 LMO is located in the Baltic Sea Proper 11 km offshore the eastern coast of Öland, where the depth is ~40 m. A buoy at the station collects continuous measurements of e.g. temperature and currents throughout the year. The collected samples fall into one or more of the following categories of study: Bacteria, Phytoplankton, Phages, Zooplankton and Bioinformatics. We greatly acknowledge the support of EON, NOS and Kårehamn guest-harbor during our sampling efforts. Novel photosystems in marine bacteria, based on the light harvesting membrane protein proteorhodopsin, were recently discovered to be widespread and abundant in the oceans. Rhodopsins allow bacterioplankton to harvest energy from sunlight (making them photoheterotrophic) This challenges the traditional view that autotrophic phytoplankton are the only organisms that fix CO2 in the surface ocean. Our research explores the genetic diversity, physiology and ecology of rhodopsins in marine bacteria. We study the spatiotemporal distribution of different rhodopsins in the sea, carry out laboratory experiments with rhodopsin-containing bacterial isolates and natural assemblages, and determine which metabolic pathways are affected by light. We thereby broadly study how rhodopsin-containing marine bacteria use light as an energy source to promote fitness in terms of improving growth and survival. Bacterioplankton are highly abundant in the pelagic waters of the Baltic Sea where they are key drivers of the cycling of nutrients. Their high turnover rates and short generation times allow them to respond rapidly and in a sensitive manner to environmental changes. Still, these organisms are not yet used as indicators of good environmental status (GES) and only in parts are included in biogeochemical or climate change models. The BONUS project BLUEPRINT is a collaboration between the University of Copenhagen (Denmark), KTH Royal Institute of Technology (Sweden), Stockholm University (Sweden), Linnaeus University (Sweden), University of Helsinki (Finland), (IOW) Leibniz Institute for Baltic Sea Research Warnemünde (Germany) and the University of Tartu (Estonia). 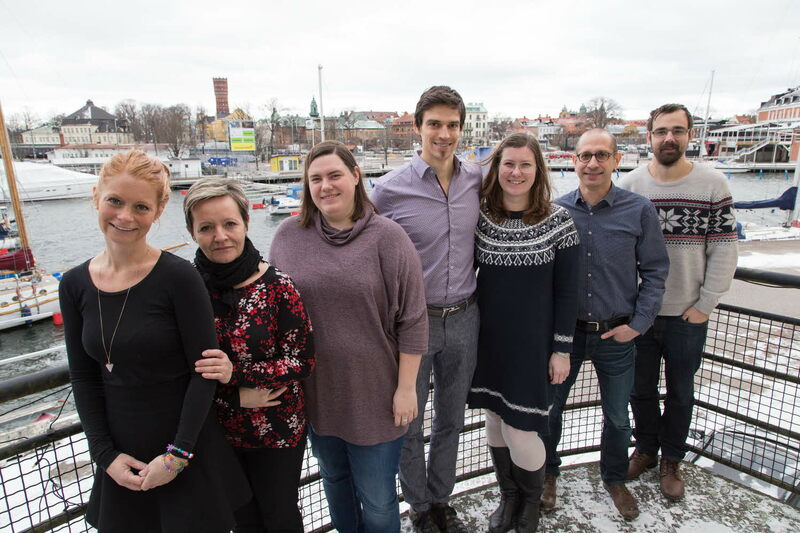 The project combines field studies, experiments, next-generation sequencing, bioinformatics and modeling to reach its main goal: to establishing a capacity to reliably deduce Baltic Sea environmental status based on indicators reflecting the biodiversity and genetic functional profiles of microbes in seawater samples. In collaboration with Maria Vila-Costa and Elena Cerro-Galvez from IDAEA - CSIC, Barcelona, we investigate the occurrence of different hazardous substances (persistent organic pollutants [POPs]) and their effects on natural Baltic Sea bacterial communities and model bacteria. Briefly, in laboratory experiments we exposed bacteria to pollutants in different growth phases, and monitored bacterial abundance and bacterial production, and collected samples for gene expression analysis. We thus hope to characterize how different hazardous compounds affect metabolic pathways in marine bacteria. This project investigates the molecular mechanisms employed by marine bacteria in the coastal surface ocean to carry out cycling of dissolved organic carbon compounds. This project relies significantly on (meta)transcriptomic analyses on the bacterioplankton side and FT-ICR-MS analysis of organic material in collaboration with Patricia Medeiros, (University of Georgia, US). This project investigates marine seasonal succession dynamics of bacterioplankton communities in collaboration with Prof. Peter Tiselius (University of Gothenburg). Seawater at the Swedish west coast (salinity around 30) was sampled biweekly in the Gullmar Fjord (at the Sven Lovén Centre for Marine Infrastructure in Kristineberg, University of Gothenburg). Microbial community dynamics are analyzed and compared to our Baltic Sea data from LMO to provide an understanding of similarities/differences in the factors regulating the microbial food webs on the Swedish East and West coasts. Coexistence of microbes like bacteria, virus and unicellular eukaryotes and protists is the norm in nature and different species occupy what may appear to be similar ecological niches. Interactions between microbial species in terms of mutualism, commensalism or parasitism, is the result of a long co-evolution. Protista, unicellular organisms, may be potential promoters of bacterial survival, persistence and growth in the marine environment, offering shelter, site for replication and dissemination. Previous research has shown that interactions between bacteria and Protista could trigger bacterial virulence or pathogenicity. Our current research focuses on marine bacteria and their diverse interactions with different protozoa and algae, with the aim to evaluate the molecular basis for and consequences of coexistence. Such studies could provide important insights into the regulation of biogeochemical processes driven by microbes and answer questions like: Is coexistence important for pathogenicity? Do bacteria respond to the decline of algal blooms or do they cause them? We use a series of established and state-of-the-art methods in microbial ecology to determine the activity of bacteria in the water column. This is linked with genetic analyses at the DNA and RNA level (genomics and transcriptomics, respectively) to investigate the molecular mechanisms that determine the ecological function and success of different bacteria in the marine environment. Moreover, we use comparative proteome analysis on natural bacterial assemblage and on bacterial isolates to examine similarities and differences in metabolism and physiology of genome-sequenced and representative marine bacteria under various growth limiting conditions. The overreaching aim of the mesocosm experiment was to investigate adjustments in bacterial community composition and activities caused by specific stressors such as riverine input, phytoplankton blooms and toxic cyanobacteria in the Baltic Sea. Water was collected from the LMO station east of Öland in the Baltic Sea and divided into separate mesocosms with 5 different treatments. The 300 liter containers were placed in a climate room with fixed light intensities and temperature, after which nutrient conditions (stressors) were adjusted. The resulting phytoplankton blooms and the bacterial responses were monitored daily (e.g. for multiple rate measurements and genomics and metatranscriptomics). Ongoing work includes determining the changes in the bacterial community composition during the experiment and analyses of bacterial gene expression patters. During 2016 we participated in 3 cruises across a cost-offshore gradient off Vigo on the Atlantic coast of NW Spain. This was the first part of the 3-year project "ElucidatiNg the role of B-VItamins in microbial plankton community structure, activity and succesSION in a coastal upwelling system (ENVISION)" with Prof. Eva Teira, University of Vigo, Spain, as project leader. Our research group's primary objective during the 3 ENVISION cruises, carried out at different seasons, was to collect water samples for subsequent high-throughput sequencing of messenger RNA transcripts (mRNA), derived from the complex natural microbial communities (i.e. for metatranscriptomics). These samples have been sequenced on Illummina HiSeq 2500 instruments at the Swedish SciLifeLab, Stockholm - the national center for molecular biosciences. To a large degree we participated in the sampling of in situ stations, particularly the surface layer. We also helped our Spanish colleagues in setting up complementary mesocosm and enrichment experiments at different stations and in extracting and measuring chlorophyll samples, and assisted in the daily preparation work. It has been an extraordinary experience to join the cruises aboard the R/V Ramón Margalef, resolving challenges beyond the bounds of research in a laboratory. We are now looking forward to data analyses and eventual follow-up studies. The overreaching aim of the mesocosm experiment was to study how prevalence and activity of microbes affects the ecosystem in the Mediterranean Sea. Water was collected from the NW Mediterranean Sea outside Blanes (North of Barcelona) and divided into separate mesocosms (control/treatment). The containers were placed in a climate chamber with fixed light intensities and temperature, after which nutrients were added and pH were changed (acidic/basic). The resulting phytoplankton blooms and the bacterial responses were monitored daily (e.g. for genomics and metatranscriptomics). Ongoing work now includes determining the changes in the bacterial community composition during the experiment and analyses of bacterial gene expression patters using Illumina mRNA-sequencing. In collaboration with Prof. Gerhard Herndl (University of Vienna) we investigate the ecology and physiology of deep-sea prokaryotes in the dark ocean. In order to study microbial activity and community composition we spent 29 days a sea sampling the deep North Atlantic. Particular focus was on the organic matter utilization of meso- and bathypelagic heterotrophic prokaryotes and the energy sources of the autotrophic Bacteria and Archaea. Using last generation pressure retaining sampling equipment developed by the Royal Netherland Institute for Sea Research (NIOZ) we also performed biogeochemical rate measurements under in situ pressure conditions. The overall goal for this expedition was to effectively link biogeochemical rate measurements and functional genomics of prokaryotes. It is now well known that marine bacteria are key players in the cycling of most nutrients in marine waters and thereby directly or indirectly affect all organisms, from viruses to fish and whales. During the last two decades molecular biology has become an integral part of marine microbial ecology. One important impact has been the realization that marine bacterial communities harbor a large diversity and that species composition significantly affects the ecological role of bacteria. In the present project, we will examine total bacterial community composition as well as the dynamics of certain bacterial groups along transects in the Southern Ocean. By doing this we hope to gain insights into the coupling between environmental factors and the dynamics of bacterial species/groups. The obtained results will be integrated with those of an American Research group, which focuses more on measurements of bacterial biomass and activity. In addition, using a new method we will examine the role of two specific groups in carbon fixation. This will hopefully elucidate the importance of CO2 fixation by these bacteria relative to larger algae (phytoplankton). In another part of the project, we will determine the distribution and activity (expression) of nitrogenase, which is involved in the fixation of gaseous nitrogen (N2). The identity and expression of this gene in bacteria around Antarctica is unknown, but in other systems it has been demonstrated that bacterial fixation of N2 may account for a significant proportion of the nitrogen introduced to the local environment. The Southern Ocean is characterized by extremely low temperatures affecting biological and chemical processes. The present project will gain insights into bacterial community dynamics and the factors governing these. In this respect, the region is largely under sampled. An additional strength of the present project is our participation in a sampling campaign in the Arctic. This will allow for comparative studies of species composition and dynamics of bacterial communities in both of these cold seas. Ultimately, we hope to contribute to a better understanding of the role of bacteria for nutrient cycling and productivity in these Polar ecosystems. Ny Ålesund, Svalbard, Aug-Sep 2009. Climate models predict a decline in the Arctic Ocean ice cover. However, observations show that the ice is melting much faster than the model predictions. This could lead to an ice-free summer Arctic Ocean as soon as 2060. The ice retreat may release sources of sea spray aerosols and marine sulphate aerosols previously constrained by the ice. These aerosols will interact with clouds and radiation and thereby provide a climate feedback. Within GRACE-WC, wintertime high-latitude marine aerosol emissions will be quantified and characterized using laboratory bubble-aerosol experiments in water-tanks. The microbial assemblage of artificially induced marine aerosol was analyzed with molecular and cultivation techniques. 4 years research project (2016-2019): "Bacterial carbon cycling in the sea: quantifying the influence of proteorhodopsin phototrophy on organic matter degradation" (diarienr. 2015-04254). Funded by the Swedish Research Council VR. In collaboration with Professor Patricia Medeiros, Marine Sciences, University of Georgia, Athens, US. Genome analysis of marine bacterioplankton: Dr. José M. González, Universidad de La Laguna, Tenerife, Spain and Prof. Carlos Pedrós-Alió, ICM-CMIMA (CSIC), Barcelona. Phylogenomics of marine Bacteroidetes: Prof. Mary Ann Moran and Dr. Haiwei Luo, Department of Marine Sciences, University of Georgia, USA. Diversity and function of marine bacteria: Dr. Josep M. Gasol, Institut de Ciencies del Mar-CMIMA (CSIC), Barcelona. BONUS project BLUEPRINT Prof. Lasse Riemann, Dept. of Biology, University of Copenhagen, Denmark, Prof. Klaus Jürgens, Leibniz Institute of Baltic Sea Research, Rostock-Warnemünde. Germany; and 4 more scientists. ISOMICS - Interaction between synthetic organic pollutants and the microbial pump in coastal seawaters: Maria Vila-Costa, IDAEA - CSIC, Barcelona, Spain.